Contrary to popular belief, we are not at high risk for fires in hotels or other public places. It’s at home, where we typically feel our safest; that is where we are at greater risk for a fire. In fact, hotels are among one of the safest from fires due to their fire protection technology that’s required. That fire protection technology includes fire sprinklers. As far as homes go, not many residents think twice about having fire sprinklers installed. Home fires can cause property damage, and far worse, they can take the lives of our loved ones. Home fires pose a great threat to people all over every community. 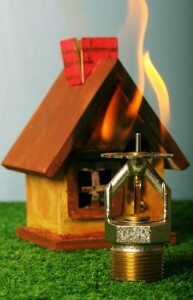 Nearly, 2,500 people lose their lives each year in home fires in the United States. It can be nerve wracking to think about these statistics, however, this should be a reason to consider installing fire sprinklers in your home. As a matter of fact, fire sprinklers cut the risk of losing a loved one in a fire by an astounding 80 percent. Make no mistake, those smoke alarms you have can be great addition in preventing a fire, but smoke alarms do not suppress fires. Having smoke alarms, along with a sprinkler system, has been proven to protect lives and property. Speaking of property, fire sprinklers can also save your home. Fire sprinkler systems can reduce the property loss per home about 70 percent. In addition, fire sprinklers also contain home fires while firefighters are in route and cause less water damaged than the fire hose used to suppress fires. Due to the Hollywood moves we all watch, many people seem to think the entire sprinkler system activates when a fire occurs, which is false. When one fire sprinkler is triggered, the rest do not activate. Nearly 85 percent of the time, only one fire sprinkler activates during a fire, which as mentioned earlier, results in significantly less property damage when compared to a fire hose. And now that homes are burning more quickly than before due to having larger spaces and lightweight construction materials, having a fire suppression system is extremely important. Having home fire sprinklers installed can give you added protection from fires and help put your mind at ease. If you’re interested in having fire sprinklers installed in your home, contact CJ Suppression Inc. at 888-821-2334 today. Or visit www.cjsuppression.com for additional information regarding our fire suppression systems. For many years fire sprinkler systems have been extinguishing fires, preventing property damage and helping save several lives. Fire sprinkler systems can be a safety feature one can add to an office, factory, schools and other public places. They can also be an added safety feature in your very own home. The sprinkler heads activate individually. Fire sprinkler heads activate only over the area where the fire is. Unlike what you see in the movies, fire sprinklers do not all go off when a fire occurs in a home or office. Only the sprinkler heads closest to the fire will activate to spray water on the fire. Fire sprinklers are activated by heat, not smoke. For instance, if smoke from a recently blown out candle or burnt food from an over or toaster will not trigger the fire sprinkler. Many fire sprinklers activate within 30-60 seconds. This is much faster than it takes for firefighters to arrive to help put out a fire. Without the help of fire sprinklers, a fire can spread and grow while the firefighters are in route. The longer it takes to put out a fire, the higher the risks for residents and property damage. Residential fire sprinklers are smaller than commercial sprinklers. They are able to be incorporated into the ceilings of many homes. 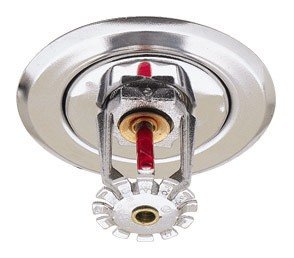 Residential sprinkler fixtures are actually available in many types of finishes. Some sprinklers can be concealed by ceiling plates or pendants to make them more inconspicuous. Fire sprinklers cause less water damage than a fire hose. Fire hoses discharge 80-125 gallons per minute, while fire sprinklers only discharge around 8-25 per minute. Smoke alarms only alert residents but won’t extinguish a fire. Fire sprinkles can out a fire while the residents flee from their home. Extinguishing a fire in its early stages increases people’s safety and reduces the amount of property damage. 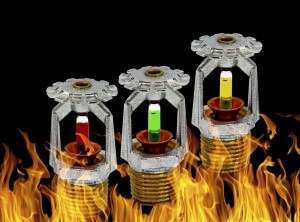 If you would like to learn more about residential fire sprinkler systems, contact CJ Suppression Inc. at 888-821-2334 or visit www.cjsuppression.com for additional information. While not exactly a universally accepted standard building-code standard, it’s no secret that fire sprinklers are important and that they help save lives. However, having the systems set up and fitted in place is just a start. This is because there’s just so many things that could go wrong with fire sprinklers. You could have a leak in a pipe, or a sprinkler head could be damaged, or your local water supply may even become lower as time goes by. Although, fire sprinklers aren’t exactly all bad news. That is, so long as you take proper care of them, which is only possible through regular fire sprinkler system inspections. These inspections are very important because during such inspections, the systems are checked for any sort of damaged and tested to see if it still works as it is intended to. If you doubt the importance of fire sprinkler inspections, here are a few reasons to convince you why you should take them seriously. Water supply and pressure. 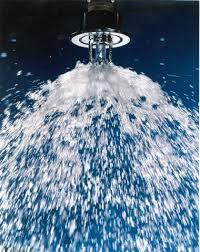 So much of the efficiency of a fire sprinkler system relies on the available water supply. If, for example, the pressure is too low, then the system won’t be able to work as it is intended to. The result? Fires will spread much more quickly, and the fire sprinklers will be almost useless. Proper water flow. Pressure is important, but the flow of the water supply available to the fire system is also just as critical. While this is checked during the initial design and installation phase, continued periodical checking is also important to make sure the fire sprinkler system is okay and working properly. Free from obstructions. The whole system is not only checked for proper pressure and water flow, but also for obstructions that may damage the system should it be turned on in a fire emergency. These obstructions are then cleaned out periodically to make sure that the fire sprinkler system works as intended. It may be required by law. In most states, including California, the National Fire Protection Agency or NFPA have set out quite a few regulations regarding fire sprinkler systems. Not only do they mandate the installation of such systems, especially in commercial buildings, but also require them to be checked periodically by a licensed inspector. Failure to comply can result into hefty fines and citations and quite possibly, further legal action. You can never be too careful when it comes to saving lives, fire safety included. Who knows just how many lives you can save if your fire sprinkler system works in case of a fire. 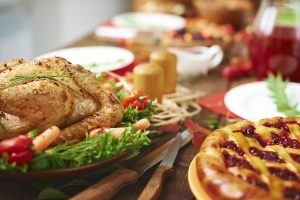 Remember, you have a responsibility to yourself, your family, your neighbors, or your staff and customers, to make sure that you do everything you can to prevent a fire from unnecessarily spreading out should it happen. With regular fire sprinkler system inspections, you’re doing your best to be as responsible as you can by making sure that the fire sprinkler system installed in your home or commercial establishment works as it is intended to when it is needed the most. If you would like to have your fire sprinklers inspected, contact CJ Suppression Inc. at 888-821-2334 today, or visit www.cjsuppression.com for additional information regarding fire sprinklers.